Hospitals of all sizes can benefit from an ongoing focus on honing their efficiency and streamlining the care they provide. Cutting down on ineffective, time-consuming activities and introducing new technologies to support staff members encourages not only happier, more effective workers, but also a better patient experience. 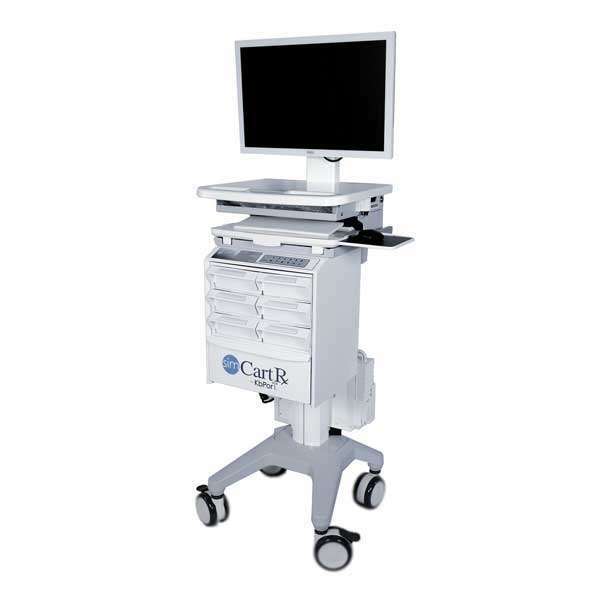 The use of healthcare mobile computer carts is a central component of increasing efficiency in hospital settings. Continuously adapting your hospital’s processes to meet the needs of your patients and workers will help to promote a better quality of life for all. Any attempt to increase hospital efficiency should begin at the point of care. The environment should be adjusted to support the workflow of nurses and medical technicians, who provide the bulk of direct patient care. A mobile medical cart can assist healthcare workers by supporting their work and helping them to focus on each patient. Depending on the demands of each facility, these carts can be customized to support their specific needs. It’s essential to consider the flow of traffic through different areas and identify and remove any obstructions. Any centralized area for medications, supplies, or equipment should be easily accessible during caregivers’ daily activities and restocked regularly. Mobile medical carts allow nurses and other medical staff to carry the items they need for routine procedures with them as they travel from patient to patient. This cuts down significantly on time wasted running back and forth between patients and a stationary supply area. Procedures, such as inserting an IV, can be performed more efficiently, lowering patient anxiety and speeding up care. Medical carts should be restocked regularly to ensure that no situation arises where a caregiver reaches for something and finds it is missing. This helps to reduce frustration for both medical professionals and their patients. Medical carts usually incorporate computers that allow nurses and doctors to have point-of-care access to electronic medical records and other vital information. Electronic records are increasingly replacing paper records for their time-saving, space-saving, and patient confidentiality benefits. Healthcare mobile computer carts simplify the gathering of information and reduce the risk of human error. Staff can input information while speaking directly with the patient, so questions and inconsistencies can be immediately clarified and corrected. 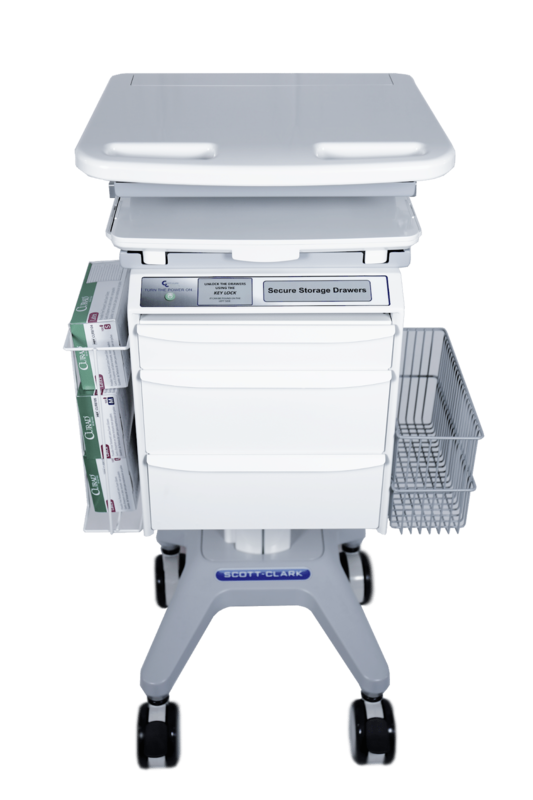 Most medical carts are equipped with secure medication drawers, allowing healthcare workers to bring medications along with them instead of having to keep them in one centralized location. Users can fit their medical carts with barcode scanners that allow nurses to scan the barcode on a patient’s bracelet and cross-reference it with that of their medication. This kind of system allows for fast, accurate dispensation. Change is constant in the healthcare environment, and a focus on improvements is essential. Data should be gathered on a regular basis to gauge the effectiveness of any new technologies, as well as to highlight areas in need of further refinement. Mobile workstations contribute to a happier hospital for staff and, most importantly, patients. Additional improvements should focus on patient engagement, balancing workloads between caregivers, and safeguarding against errors and mistakes. A philosophy of ongoing improvement can help to ensure your hospital is operating at its optimal efficiency.